In 2011, there was an incredibly close race between Batman: Arkham City and Portal 2 between team Bitcast for the Game of the Year award with Portal 2 coming out on top. This year, the conversation went a lot smoother. While there were lots of games that got our attention to be nominated, there was one game that stood out amongst the crowd as the clear favorite on The Flickcast. Dishonored, Far Cry 3, Journey, Unfinished Swan, Borderlands 2, Mass Effect 3, Slender were all great innovations in gaming in 2012 and all garnered huge followings. But there is one game that proved it was special to people on so many levels that when it came time to cast the final ballot on game of the year, it was a no brainer for the both of us. This is it boys and girls. As the end of the week draws closer, so must our Best of 2012 awards from The Flickcast and Bitcast teams. Check out Part 1, Part 2 and Part 3 from earlier in the week in case you missed them. And just remember to check back tomorrow for The Flickcast’s Game of the Year Award. What makes a game a classic? Unlike some Facebook pages where the average age of the viewer is thirteen which refer to Super Mario Galaxy as “classic”, we believe that for a game to earn that title, it must stand the test of time. While many series have had ups and downs, a select few have endured and kept going for more than two decades since their inceptions. Two from Capcom actually both celebrated their 25th anniversaries in 2012 so what better way to end the year than with a mashup of the two. To conclude the 25th anniversary of Street Fighter and begin the 25th for Mega Man, Capcom distributed a full length Mega Man format game entitled Street Fighter X Mega Man for free. Available on http://www.capcom-unity.com/mega_man, Street Fighter X Mega Man started as a labor of love by a fan of the two series. After going through all the legal red tape, Capcom not only accepted the Seow Zong Hui’s idea but actually funded the completion of the game (which was delayed for a week while Seow had to study for finals). Thanks for coming back for Part 2 of The Flickcast Presents The Bitcast Best of Gaming 2012. Click here to see yesterday’s part 1 and keep coming back the rest of the week for more awards including the Game of the Year being awarded on Friday. In Halo 4, players were able to see a true evolution in the character of Master Chief, John 117, as he began showing actual human emotions due to his connection to the AI chip that had been living in his suit with him for the better part of a decade. Like most women that a guy has lived with for that long (while he spent most of his time asleep), Cortana has started to go a little crazy. Welcome to The Flickcast Presents the Best of Gaming 2012. This is going to be a five part series throughout this first week of 2013 concluding with the Game of the Year being awarded on Friday. So any gamer who has a PS3 already knows that people with microphones don’t really exist, especially compared to the plethora of expletive spitting, homophobic prepubescents who have claimed to have slept with our mothers that troll XBox Live. What they may not know is that some of the best communication that has happened in 2012 on the PSN comes from a game that actually doesn’t even allow for voice chat. In Journey, players are placed in the role of a robed figure who has no voice at all but can make a singing tone. Those connected to the PSN will occasionally be placed in random worlds with other players but have no method of communication other than the singing tone. This means that players are actually tasked with creating their own non-verbal communication. For all our Connecticut readers, head down to the Black Bear Saloon in South Norwalk on Friday night, October 19th. Black Bear will be hosting a “Battle for a Cure” event to help raise awareness from 6 to 9 PM to help in the fight against breast cancer. To help support the event, The Flickcast has teamed up with Harmonix to get some big raffle giveaways for the event. 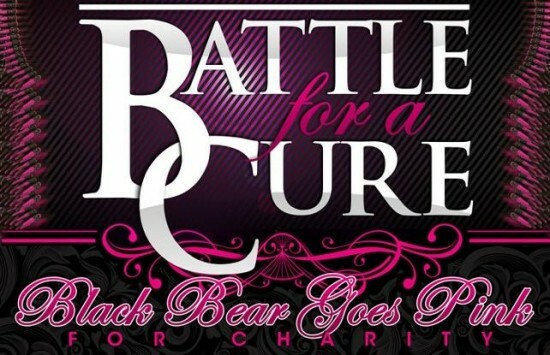 There are going to be four Dance Central prize packs raffled off at Black Bear’s “Battle for a Cure”. The first three packs will contain a Dance Central backpack, a stack of bandanas, disco ball keychains, Dance Central 3 snap bracelet watches, a hat, stickers, a t-shirt and hoodie sweater. But that’s not all. The fourth Dance Central 3 ultimate prize pack will include everything listed above PLUS a copy of the newly released Dance Central 3 and a sleeveless Dance Central dancer hoodie. If you are free Friday night, head down to the Black Bear Saloon to help support the Battle for a Cure alongside The Flickcast and the awesome team at Harmonix. There is a $10 suggested donation at the door which gets you free hor devours, a drink special and access to the raffle, silent auction and more. There will also be a special Pink cocktail that night that for every drink purchased, a portion of the proceeds will be included amongst the donations to help benefit breast cancer research. This is it. It’s the big one! Right before the New Year, we posted our awards for the best of gaming in 2011. But there was one all important award that we needed some extra time to deliberate on… The Game of the Year. In this episode, JC and WallE forgo the usual format of the Bitcast and engage in a conversation where they, along with some input from Flickcasters Matt Raub and Cortney Zamm, decide on what game earns the coveted title of Game of the Year. One thing we’ve learned is there are too many games and too little time to play them all. This also means there isn’t even enough time to give all of them awards, but we try our best. Today we take a look at both the most time consuming efforts of the past year as well as give some awards for games that deserve some notable mentions as well. Two Hundred and Fifty Hours. By most estimates, this is how long it’ll take an average player to explore MOST of the content of Skyrim. To give some perspective, if the average person works a 40 hour a week job, Skyrim would take six and a quarter full work weeks to complete. Now, we realize that most gamers work jobs outside of the gaming industry and cannot devote a full forty hours a week to a single game. Yesterday we took a look at Minecraft, The Legend of Zelda: Skyward Sword, Capcom, Dark Souls and Portal 2. Today, we have a whole second set of awards to be given out for the best (and worst) of 2011. What happened in the time span since Duke Nukem Forever began development? The entire Presidential run of George W. Bush. This writer’s entire high school and college career. Star Wars: The Phantom Menace, Attack of the Clones, Revenge of the Sith, and The Clone Wars were all released in theaters. The XBox was released and ended its lifecycle. Activision released 7 proper Call of Duty titles. A child born when development started would have grown to be a teenager. And the worst part is, after all that wait… Duke Nukem Forever wasn’t very good when it did finally come out. What was considered controversial when the game began production is pretty tame by comparison to what people are enjoying in gaming now and the humor comes off as sophomoric instead of clever. While we can understand the desire to release a passion project to finally let it see the light of day, sometimes it is better to let it enjoy a quiet death with some dignity instead of coming out guns blazing as a failure.